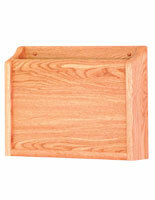 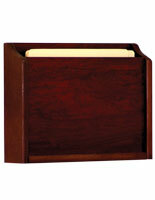 These privacy chart holders are designed to be HIPAA compliant. 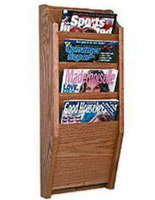 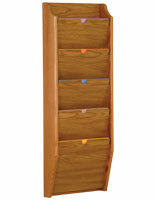 Order the mahongany shelf for your office or waiting room today! 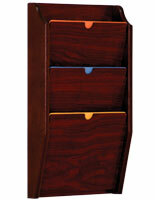 Each wooden chart holder has 5 pockets for storage. 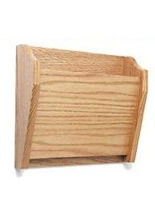 The pre-drilled holes make wall mounting fast and easy. 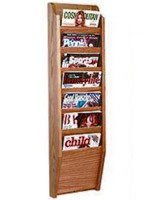 Choose this display and organization option today and pay wholesale prices! 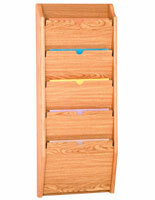 14.0" x 24.0" x 3.3"
12.5" x 9.0" x 1.3"